Mind and body are working in unison (in it's natural state), as a whole. Every moment is ripe for new experiences. Old experiences are stored in the wisdom of the body, and get repeated as long as the mind is not connected to itself and will start to play these patterns again and again in different ways and forms, yet the underlying issue remains in the tissue ;) The metaphor for reorganizing the furnishes on the Titanic works as well. It's gonna hit the ice (which the body knows), but still feels the illusion in the boat is all there is. Yet new cells are born all the time, in a way they are like a newborn child that does not have recollection, yet is open to everything. Mind working with the idea of seeing everything new is equal to potentiality. Deep down there is trust and knowing in the wisdom of the nature. Genetic memory, DNA, noo-sphere, akashik records... In every seven years, every cell in the body is renewed, unless the whole organism is continuing the old paradigm of atrophy. In a way the organism chooses when it is time to die, and even has an instinct for it (Thanatos - instinct, from greek mythology. Death drive). 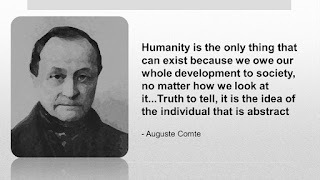 Self perpetuating and programmed consensus reality is the road block for the potentiality (the newborn) to become self-aware (awareness as experience in oneself that knows oneself to be connected psychologically, spiritually and via the organism itself to the whole which is greater than the whole previously held in belief). Resisting is not letting go. Not letting go means to live the old programming and therefore to be a slave. To be a slave in the Titanic is made comfortable. You can even buy new furnishes with a bonus card to get a sense of meaning, joke aside, what was meant here is a psychological metaphor. In the end (or perhaps better to say in the beginning! ), it is all about FREEDOM and breaking the old patterns that are unnatural. in a way to remain ignorant is the same as choosing to be asleep. To be asleep without dreaming (not using imagination) is pretty much the same as not being. Not being is the same as being never born in and to the current experience. The potential way of the shaman, the medicine man is in each who chooses to say hello to the nature, as if for the first time. Cause it is the effect and the cause, instant without time. It's open, so no definitions are real without experience and even then they are related to the experience. Objectivity is to go below subjectivity, they are also fundamentally connected. Chaos is there to break old patterns. Reason is there to filter meaning with dignity and wisdom. It is not evil even when dark. It is a place of transition. And the newborn is ever curious, so why afraid?